HOORAY! Crab Season is here!! Roll up your sleeves and crack into this CertifiKID exclusive, 100% authentic Maryland Blue Crab experience from local favorite, Cameron's Seafood. For 48% off the opening season prices, the CertifiKID Crab Feast gets you 1.5 dozen ALL-LARGE, Premium Male #1 Crabs - none of the small guys here! Prefer the fork over the mallet? Treat yourself to Cameron's CertifiKID Maryland Crab Cake Special and save 20% on six (6) 8-ounce mouth-watering Jumbo Lump Crab Cakes. Or even better... Combine them both to create the ULTIMATE Maryland Seafood Feast! When you place an order from Cameron's Seafood, you're purchasing quality products from the largest family-owned and operated fresh seafood retailer in the state of Maryland, with over 30 years of experience and multiple store and food truck locations. Enjoy fresh, never frozen seafood from shore to door in less than 24 hours. You choose your delivery date and every order is carefully packaged to keep everything cool until you get home. If you have lived in or visited the state of Maryland you know that being a "crab snob" is a real thing. Marylanders take their seafood VERY seriously and there are few things that gets them more excited than tearing into a bushel of delicious blue crabs encrusted with Old Bay seasoning - it's a social event among family and friends. What's so special about Maryland Blue Crabs, you may ask? To survive the winter months, Chesapeake Bay crabs have to build up extra fat stores, which gives them a sweet, buttery flavor you won’t find in other types of crabs or in blue crabs from other waters. 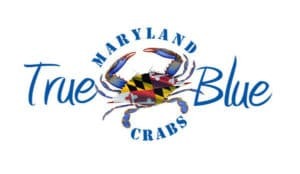 Cameron’s Seafood is proud to be a True Blue certified partner, which means their invoices are audited annually to ensure they sell 100% authentic Maryland crabs, crab meat and, crab cakes. All crabs are Maryland-caught, steamed, and packed the same day they ship - fresh & delicious! Crab cakes are made by hand each morning with a 75% Jumbo Lump crabmeat to binder ratio. Crabs and crab cakes arrive ready to eat, with simple re-heating instructions included. There is no appreciable loss of quality from re-heating. The #1 Male Maryland crabs included in the offer are typically the most sought after crabs - large crabs measuring 5 1/2" - 6 1/2" from tip to tip of the shell. Multiple vouchers may be purchased, but each order must be processed/redeemed in a separate transaction. 1-2 Day Shipping is FREE to Local & Regional Zones (includes all East Coast states) - please see shipping map HERE prior to purchasing. If outside of these zones, shipping costs will be calculated at checkout. Expiration: December 1, 2019. All orders must be placed by this date. Select desired option(s) at checkout. After voucher purchase, click HERE and select "CertifiKID Crab Feast" or "CertifiKID Maryland Crab Cake Special" and click "Add To Cart." Click "Checkout" and on the right-hand side of the Checkout page click on "Enter promo or gift card code here" and enter the Vendor Code listed at the top of your voucher in the "Coupon code" field. Once the Vendor Code is applied at checkout, the entire $99 or $85 value will be subtracted from your order. Please follow all additional ordering instructions to select delivery date and complete the process. Valid only for the CertifiKID Crab Feast or CertifiKID Maryland Crab Cake Special. Multiple vouchers may be purchased and redeemed. Cannot be combined with any other special offers, promotions or discounts. Not valid on prior purchases. Additional service charges may apply. Vendor is responsible for the quality of the products or services provided at redemption. Merchant cancellation policy applies.